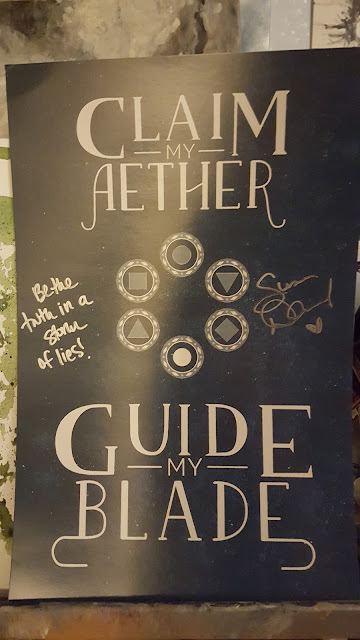 #Giveaway: #TruthwitchTuesday surprise, Truthwitch poster signed by Susan Dennard! You all know by now that Susan Dennard's new high fantasy Truthwitch is going to be one of the best books of 2016. While you're waiting for it to come to your door, here's a little treat: one of the awesome posters you've seen around the web, signed by Susan! For extra karma, check out today's Top Ten Tuesday, Movie adaptations I'm super psyched to see! This giveaway will run until 11:59 pm on November 17th. Thanks for stopping by! I wish you all luck! How could I not be excited for Truthwitch?! Sooz is amazing and the sneak peek I read from Netgalley was amazing. I neeeeed it. It looks so amazing and I have heard so many great things about this book! Plus I am loving the cover! Of course I'm excited for Truthwitch! It both looks and sounds totally amazing! P.S. Just found your blog. It looks amazing!